I noticed that when I save my image to my desired format I had no control over the resolution. I could pick the format and to keep the original size but had no choice of resolution and it defaults to 96ppi. I am used to importing with camera raw and generally choose 300-400ppi for larger format prints. Is there any way to change the export resolution for print rather than display? 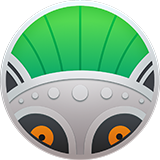 Photolemur keeps all the original information (including dpi) of the image. Could you please send us the original images so we can investigate them on our side? Please, upload the photos here: https://wetransfer.com/ and send the link to sofiia.shovkun@skylum.com. Of course that makes perfect sense. I am used to to the higher resolution in camera raw because that is what I set it to not the native resolution of the sensor. No need to send in the image, my own methodology had me confused. Thanks for the quick response, no need to send you and image.